A pair of Gougeon-built multihulls made with WEST SYSTEM Epoxy decades ago won important races on the Pacific Ocean and Great Lakes in 2018. 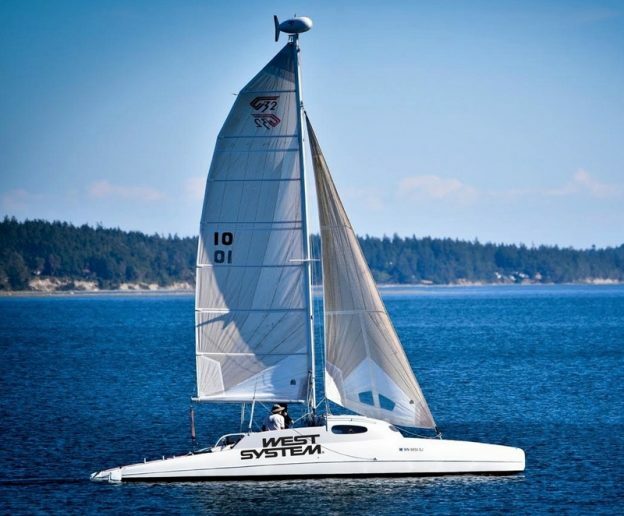 Incognito is a G32 catamaran, vacuum bagged composite construction, by Gougeon Manufacturing in 1990. Russell Brown of PT Watercraft in Port Townsend, Washington raced the 28-year-old vessel singlehandedly in the grueling R2AK (Race to Alaska). In the qualifying leg from Port Townsend, WA to Victoria, BC he finished 40 minutes ahead of the rest of the fleet. He then led the race for three days until fatigue set in, requiring him to put finishing safely first. Still, he was the first solo finisher for the second year in a row and knocked more than 24 hours off his record-breaking 2017 win, also aboard Incognito. Brown’s approach attests to his own grit and determination, as well as the durability of his Gougeon-built multihull. Solo sailing to Alaska required Brown to dock the boat in order to rest while boats crewed by more sailors passed him in the night. During the day he’d pass those boats. While team Sail Like A Girl took first place overall, Brown was the first solo finisher and came in well ahead of much of the pack regardless of crew size. A few weeks later, the Gougeon-built Adagio took first place in Division III (multihulls) of the 2018 Bell’s Beer Bayview Port Huron to Mackinac Race sailing the Cove Island course. This 35’ trimaran was built by the Gougeon Brothers in 1971 and is widely considered to be the first all-epoxy-bonded wooden boat ever built. That it is still competing today speaks to the longevity of the cold-molded epoxy construction methods pioneered by the Gougeon Brothers in the 1970s. The Gougeon-built ADAGIO at the start of the 2018 Bayview Mackinac Race. Adagio is owned by Alan Gurski and Ben Gougeon of Bay City, Mich. and skippered by Matt Scharl of Lawrence, Mich. Gurski and Gougeon crewed. 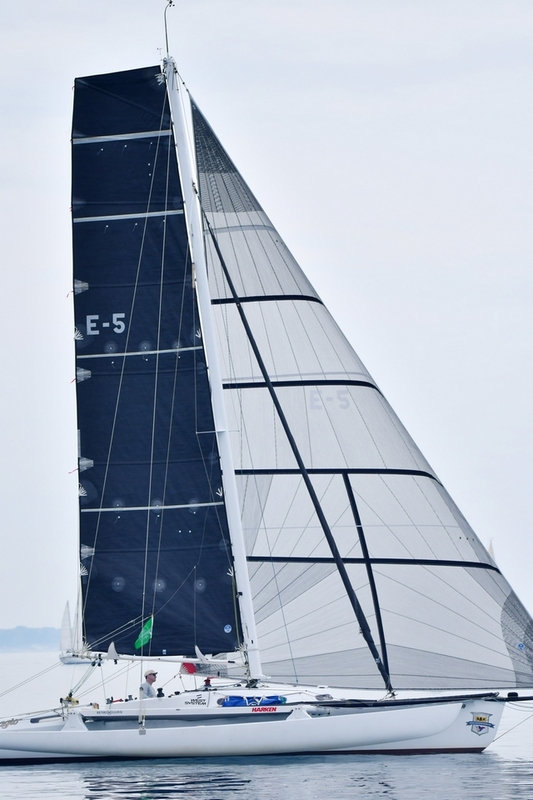 This entry was posted in Multihull Construction and tagged #47, Adagio, Epoxyworks #47, G32, Grace Ombry, Incognito, Port Huron to Mackinac Race, PT Watercraft, R2AK, Russell Brown on September 25, 2018 by ewadmin.